Want to book your golf lesson? Remember the key points of your golf lesson. 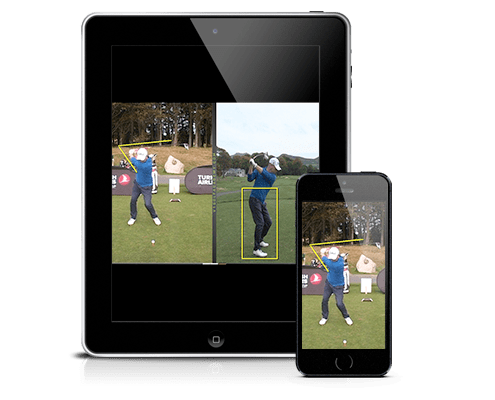 View your golf swing analysis recorded in-lesson on any smart phone, tablet or PC. Its the perfect way to conclude your lesson with a video reminder of what you need to work on as well as useful practice drills that will help you achieve your goals. Clients always comment on how useful it is to have a video of their golf lesson to view while they practice. Barry is one of Ireland’s most sought after golf professionals and is currently sponsored by Turkish Airlines. 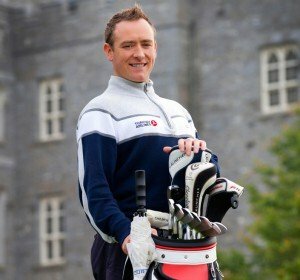 He has made multiple appearances on Tv3’s Ireland AM, providing golf tips to Ireland’s morning viewers as well being in studio to discuss the Ryder Cup on several occasions. His Youtube channel has proven popular with over 2 million views. Barry has been teaching golf professionally for 20 years in various locations across Dublin and is well known for his ability to very quickly pin point issues in a golf swing and present simple solutions that clients understand. Barry has spent years tirelessly promoting the usefulness of video analysis in golf lessons. 15 years ago his clients would leave every lesson with a VCR tape of their analyzed golf swing. Today they leave with their swing analysis video on a smart phone and other devices. Barry has built a very strong reputation in the corporate golf sector by providing golf tuition services for clients such as Google, Microsoft, Ebay, Davys, Meteor & Eir, Citi Group, Irish Life, McCann Fitzgerald, Ulster Bank and many more. I was struggling with my driving all 2013 so on the recommendation of a friend I went to see Barry in September. His analysis quickly got to the cause of the issue and put a solution to me in simple terms that I could take it straight to the course. In the video of this lesson Barry provided a quick reference point if I needed reminding of the strategy discussed. Thanks to Barry’s excellent lesson I quickly found form and this year lost two shots and was joint winner of Clontarf GC golfer of the year. I would recommend Barry to anyone, and found his modern approach to teaching to be refreshing. Barry has been instrumental in me losing 4 shots over the last year and a half. He uses video analysis to show you what you are doing and to explain what you need to do. I used to have a terrible slice when driving but now it’s the strongest part of my game. He makes incremental changes to your game which makes it easier to follow and means that there is a steady improvement. Excellent golf instructor. Very thorough and attentive. Both my son and myself have been seeing Barry over the last 12 months and our games have improved dramatically. The video tutorials allow you to see your progress over time. I highly recommend Barry both for beginners whom have never hit a ball and more experienced players. I have had many lessons over many but couldn’t manage to shift off 36 handicap. After about 10 years of struggling I got a voucher for some video lessons from Barry and honestly haven’t looked back since. When he first compared my swing to Tiger Woods I was more than concerned that he might not be the teacher for me but it all made sense and actually seeing what I was doing wrong was fantastic. I lost 7 shots last year alone. I am currently playing off 25 with a new target of 18. I have also had putting and pitching lessons from Barry and can’t recommend him highly enough.